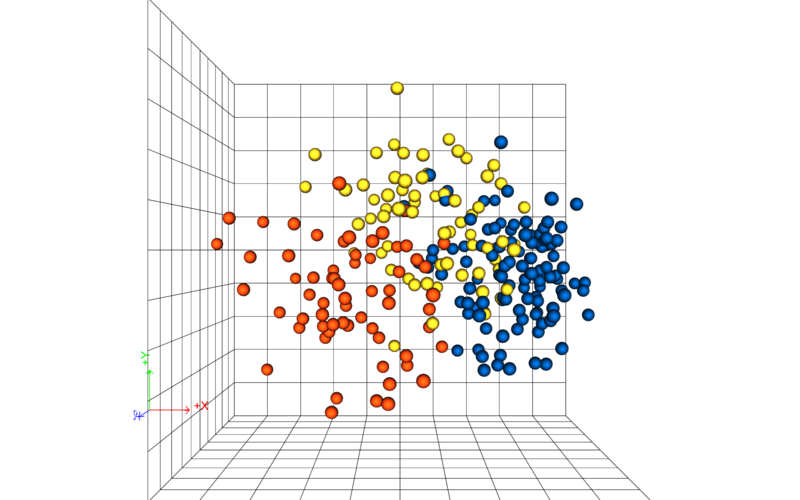 The EVOLVE workflow uses a distance-based generalized sensitivity analysis (dGSA) (Fenwick et al., 2014). The concept is straightforward. It compares the cumulative distribution function (CDF) of each parameter in each cluster to the CDF of the entire population (all clusters). If the differences are statistically significant, the parameter is deemed to be sensitive for the distance metric selected, otherwise it is insensitive. Any type of parameter, discrete or continuous, can be analyzed in this manner. No response surfaces are created - the analysis is directly using the models transformed into metric space. No requirement that the modeler assume a functional form of the response. 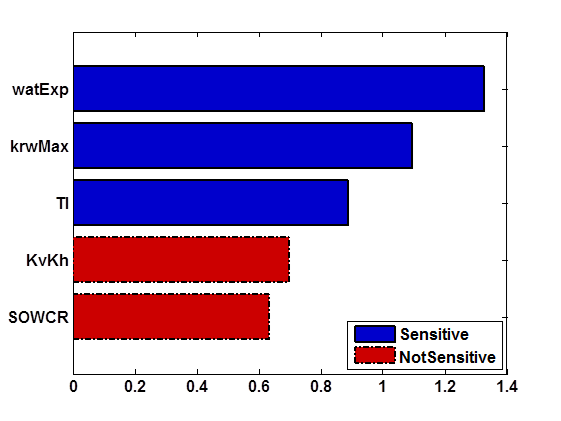 Use novel, intuitive sensitivity analysis using metric space methods.